A seriously amazing effect where a stack of 10p coins can penetrate, transpose, vanish and re-appear! 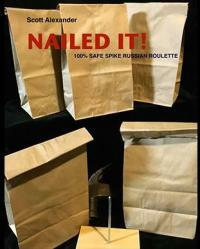 Quality brass precision item! A solid empty brass cap is shown clearly, turned upside down and shown empty inside. Placing the cap on the table, it is lifted to show a stack of 10p coins have suddenly appeared! The stack is then taken and placed on-top of a second brass cap. The stack suddenly penetrates the metal cap and is found beneath the bottom cap! The climax comes when the stack is once again covered by one brass cap, before being made to reappear beneath the other brass cap! Both caps are turned over and shown 100% empty and ordinary. The audience are left amazed! A truly magnificent close-up effect that will amaze and impress from start to finish. 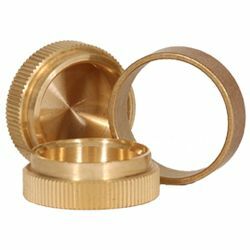 So many routines and combinations can be incorporated with these clever little precision brass caps! Easy to perform, complete with caps, metal ring and full instructions for 7 routines. This product was added to our catalog on Saturday 02 February, , 2013.